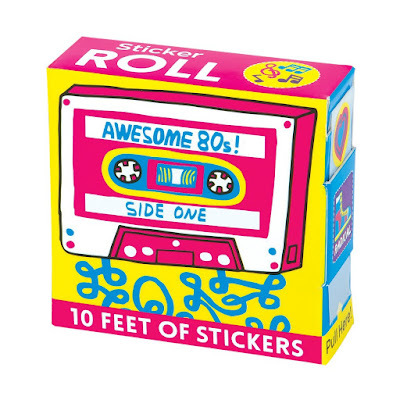 If you're about to host a 1980s-themed party or event of some kind, then one of the most cost-effective ways to brighten up the decor is with the use of 80s stickers. 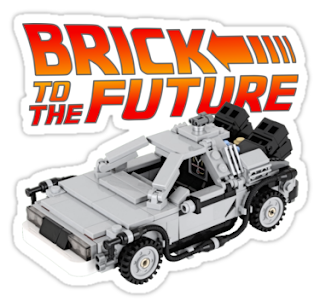 It's surprising just how effective and versatile they can be, and yet, very few people actually realise that you can buy stickers with an eighties theme. You could use stickers to create your own party invites, seal envelopes, add to party bags, decorate bottles and jars, or simply stick to a door or wall. You can also use them to personalise your laptop, phone etc, or maybe your kids/grandkids would like one or two for their skateboard or scooter. 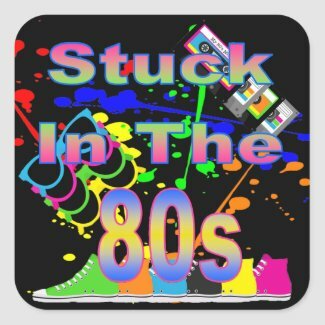 You can dind a pretty huge range of 80s themed stickers at Redbubble. This is a site I use often, and which supports independent artists, which means that some designs are unique to the site. I just had to share with you this 80s Fashion sticker book I found at Amazon.co.uk, which allows you to dress your own models in a variety of 80s outfits. This would be a fun way to introduce your kids/grandkids to the unique world of 80s fashion! You can also buy the book at Amazon.com. 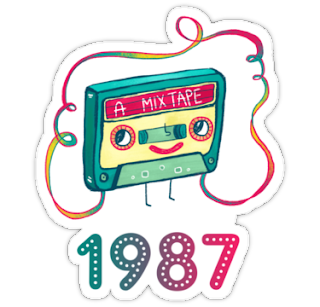 This bumper roll of mixed 80s stickers is the best I've seen in terms of value. You get 10 feet of stickers featuring 18 different designs. The designs are cute and cartoony, and probably best suited to females. Unfortunately, this roll of stickers is no longer available at Amazon.co.uk. This funky 80s graphic sticker is available in two sizes with a clear or white background. Sadly, it's not available in the UK and the seller does not ship to the UK. 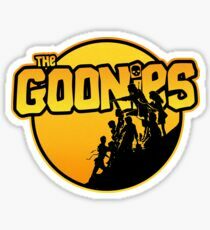 You'll find an interesting variety of 80s Stickers at ebay , which you can buy now without bidding. There are also original stickers from the decade which have never been used, although I doubt they would still actually stick! They would give an authentic look, though, and you could always use a Pritt Stick. 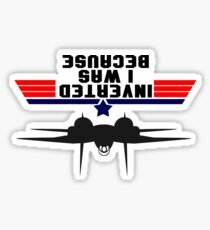 Some of the best sticker designs I've seen are available at Zazzle, and many are exclusive to the store. Here are a few of the designs I found to give you an idea of what's available. You can buy the following items in rolls of 20. The links are to the UK store, but I have added links to the US store underneath each item. Here are a few examples. The picture links are to the UK store, but I have added links to the US store underneath each item. 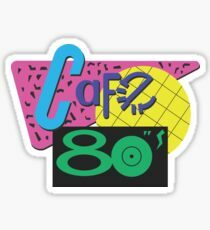 Another store that sells a massive and unique range of 80s stickers is Redbubble. The only downside is that stickers are priced individually, which makes them a tad expensive. However, if you want a mixed selection of high quality, exclusive designs - there are over 13,000 of them - then this is the place to go to. 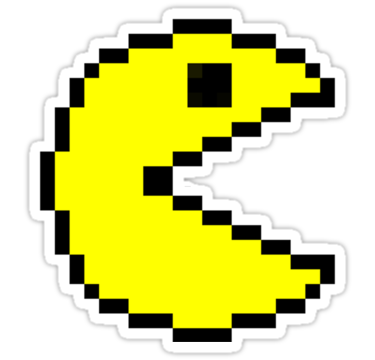 Just about every 80s theme is covered including gaming, films, cartoons, toys, technology and more. Please note that you may need to change the country and currency options at Redbubble. £pounds, $dollars and Euros are available. Stickers for each year of the 80s are also available at Redbubble, and these would be very useful for birthday parties. With so many stickers available at the site, you will find it easier to narrow down your search further such as Pac-Man or Back To The Future.